Discussion in 'Sevenstring Guitars' started by ramses, Nov 10, 2013. By nostalgia I mean, that I don't play her anymorehaven't in the last three years. She is still with me, but always inside her case. Yesterday I cleaned her up and took these pictures, with the intention of selling her, but my S.O. convinced me not too ... for now. 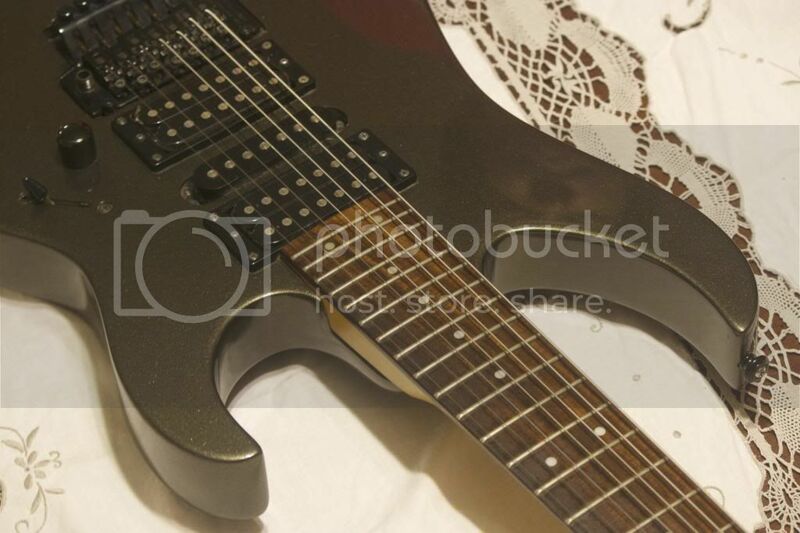 This Washburn was my first 7, and she kept me warm during my years as a poor grad student. She holds a special place in my heart. shupe13, Edika, Zhysick and 7 others like this. When did they make these with a trem? Are you SURE you're not selling yours? Just a little bit of history, there were actually various runs of the WG587 with different neck heels and input jacks, I had the square neck heel one while my buddy had a rounded one, also the one with a rounded neck heel seemed to have a less rounded shape to the body aswell. I'm almost certain the 1st run (which is what I assume mine to have been) also had additional issues, as mine could never intonate the lowest string past A while my friends appeared to have no problems, and from playing it, I immediately noticed it had much better intonation across the board which kind of convinced me the 1st versions lacked the buzz feiten system. As far as I know, the trem. version came along with the 2nd run with the rounded heel, and was only available for a short time, so it's actually a really rare guitar.. I've only seen under 10 people post them and only two for sale, one locally and one on here which I NEARLY bought because I just love these things. They're great basis for modding, and just swap out the bridge, pickups, and electronics and you have one hell of a guitar. See, OP? That ol' hunk o junk is worthless and is CLEARLY a dime a dozen! I'll take it off your hands for $100! 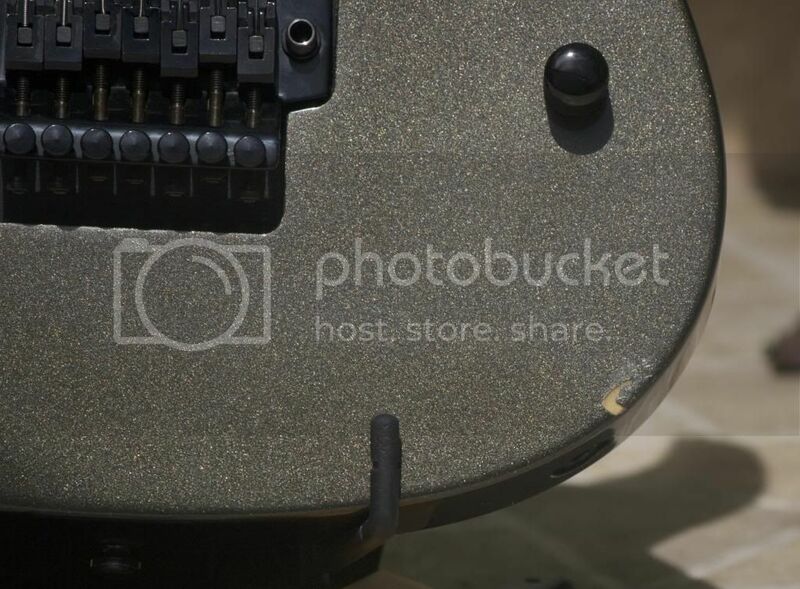 This guitar is 12 years old, and I believe it was discontinued a couple of years later. Nope, not selling it right now. ... As far as I know, the trem. version came along with the 2nd run with the rounded heel, and was only available for a short time, so it's actually a really rare guitar.. I've only seen under 10 people post them and only two for sale, one locally and one on here which I NEARLY bought because I just love these things. They're great basis for modding, and just swap out the bridge, pickups, and electronics and you have one hell of a guitar. Interesting, I didn't know that. 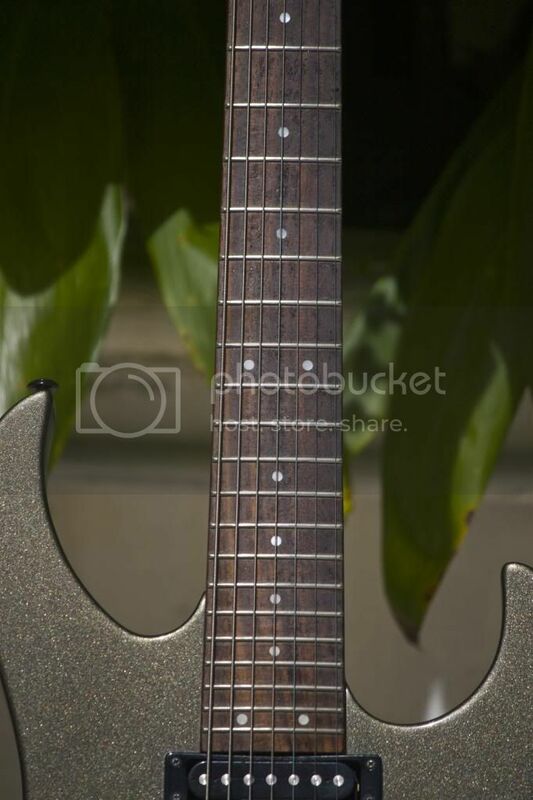 The 2001 Washburn catalog says that the body is mahogany, but I have seen some people claim that it is alder. Would you happen to know about that? 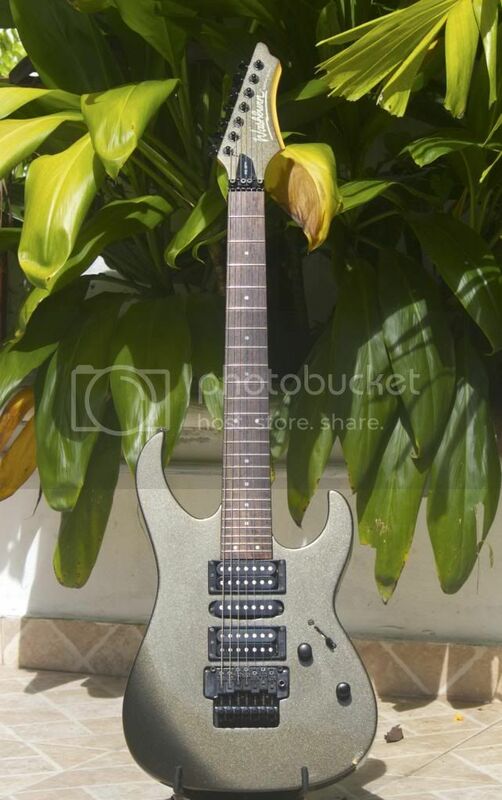 My first 7 string was a 587V in the exact same colour. 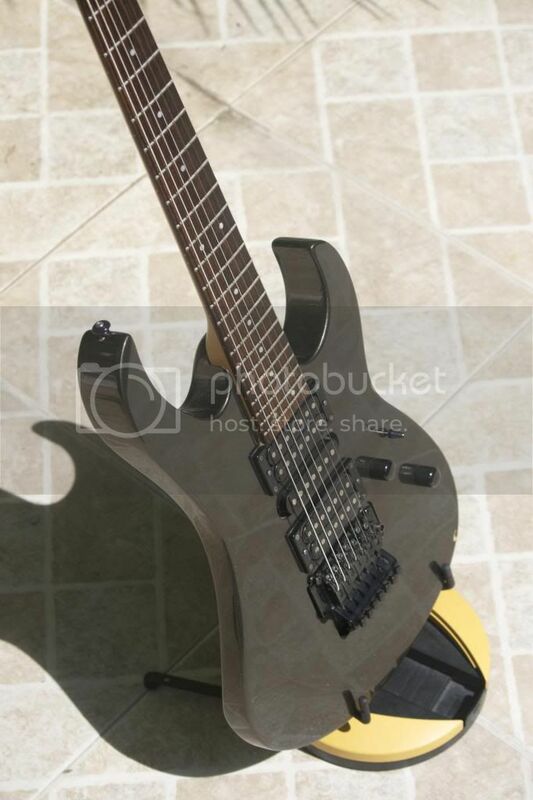 I remember fitted it with a Bareknuckle Warpig 7 and it sounded glorious. Never stayed in tune unfortunately. Mine was alder, and I'm near certain the rounded neck heel ones are mahogany as my friend's has a chip in it and the wood looked far too dark to be alder. I actually took the finish off mine down to the sealant when I had it and have pictures of it, showing what is blantly alder.. 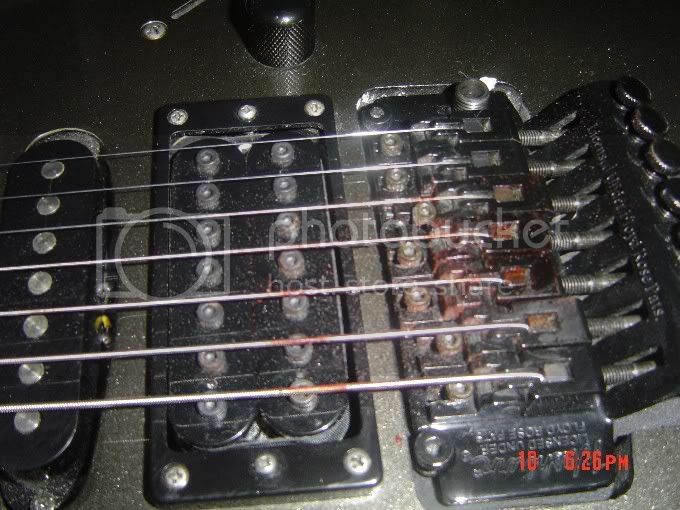 I had blood dripping all over my hand and as it was so hot in the venue that night, the blood dried on the guitar quickly so my strings were shot. I didn't notice it happened until I looked down, wondering why my tone was crud. NickS, mlp187, GatherTheArsenal and 1 other person like this. Woah, this was the first 7 I ever played. Got mine for $150 in good used condition back in 2011. 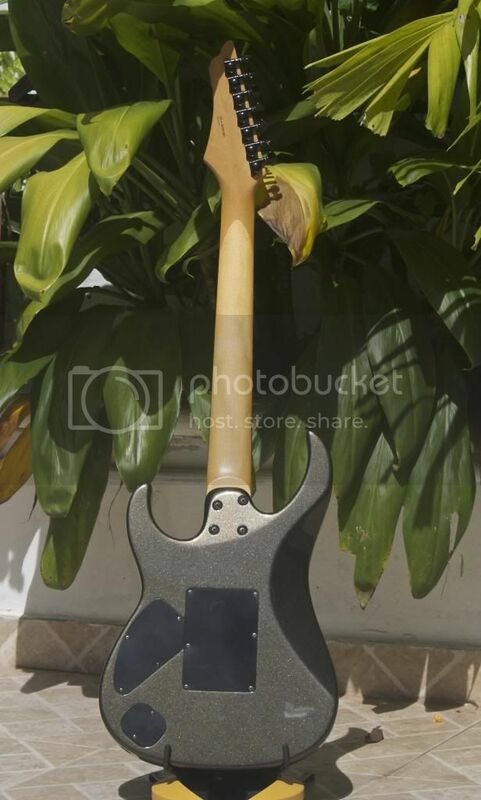 Wish I still kept it and swapped out the pickups, it played really well. 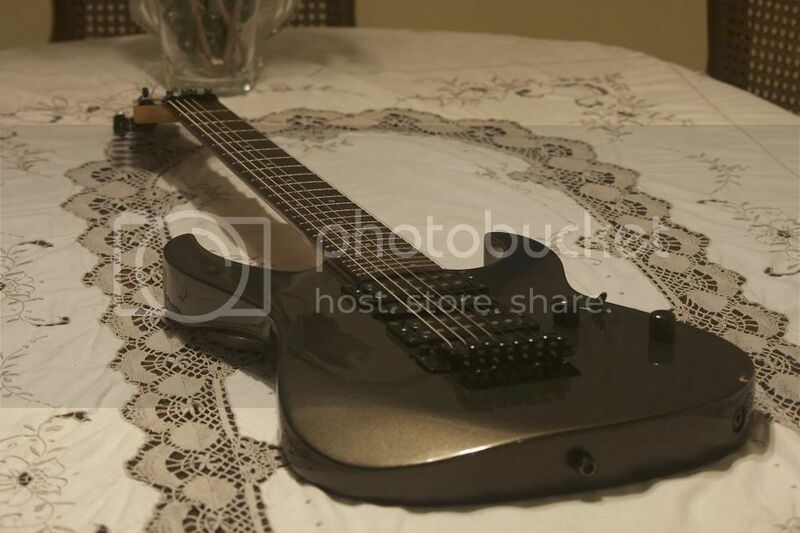 Never seen this model before, it's like the Washburn UV. Pretty cool! 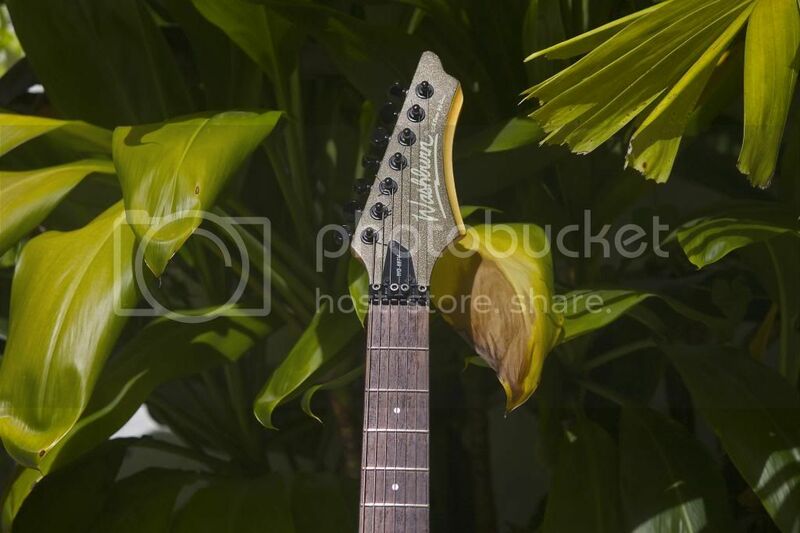 I don't know anything about these guitars but just judging by the colour of the wood under the chip on your picture it's far too light in colour to be mahogany. lol, what's going on here? So anyway over the last year I decided to finally get going with this 7 string project & to just do everything I could myself. haha ... turns out that a couple of weeks ago I decided to fully upgrade mine. Financially, it is a bad idea. But I'm learning a lot in the process. I think I'll go all the way and even do the re-fret myself. We'll see.